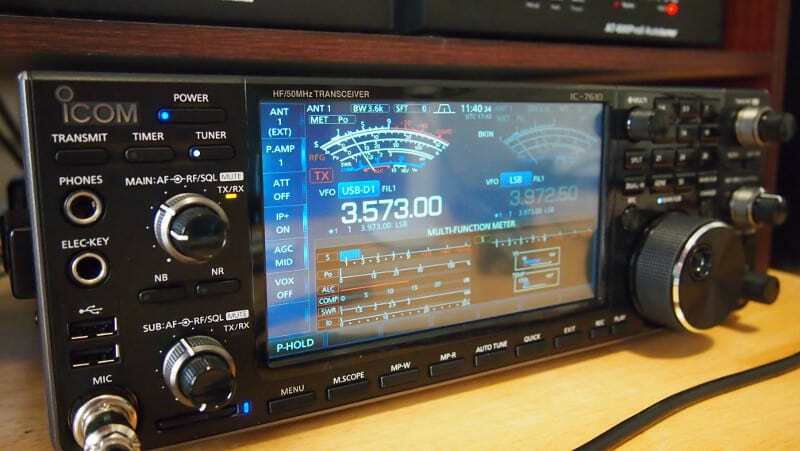 This post on the Icom 7610 clock and timers will not apply to the Icom 7300. It is very interesting though, so please read on. The Icom 7610 has an ethernet port, two clocks and 5 scheduled timers plus a sleep timer. It can also connect to your home networks router with an inexpensive wireless access point/bridge and sync time using NTP. Added Bonus: How would you like your radio to turn on automatically for you? I love this feature. Before I even get out of bed in the morning, I’m listening to my favorite net. In the Basic Manual the Network section starts on page 8-7, but before we can connect the radio to the network we need to connect it physically. There is an RJ-45 port on the rear of the Icom 7610. You’ll need to run a cable from it to the router in your home. Just plug it into any open port on your router. If your router is in another room and you’re physically unable to run a cable, there is another alternative. You can use a wireless access point/bridge like this one. Setup the Network in the radio. MENU>SET>Network. DHCP is the easiest method, but if you are using RS-BA1 you’ll probably want to set it up as static. See the video below. 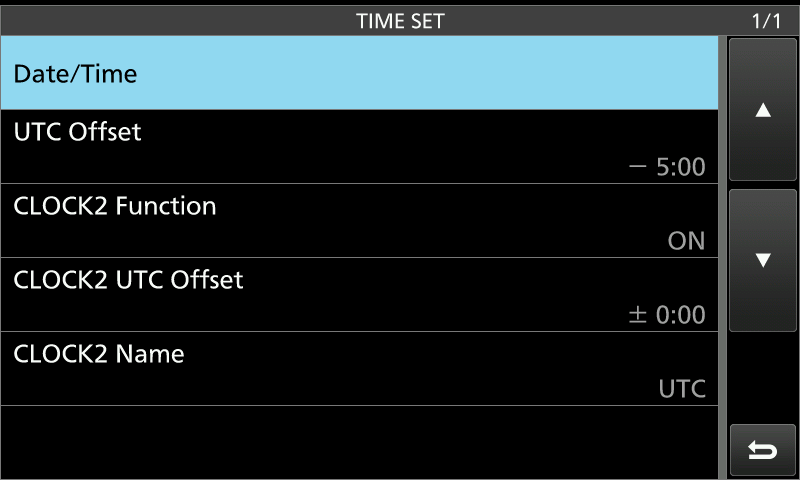 MENU>SET>Time Set>Date/Time. Set your local date and time. You can use NTP to sync your Icom 7610 clock. In the advanced manual on page 66 it starts with the NTP function, but before we can do this we need to setup the network as mentioned above. I am using NTP because it synchronizes the radios internal clock with a time server. I’d bet the radio keeps pretty good time by itself though. It can get a little confusing at this point if you would like two clocks and why not have them if they are available? CLOCK2 for me is UTC (see below), but it can be anything you like. Maybe a Pacific time clock? Here’s where the fun starts! The first timer is a Sleep Timer. It will shut the radio off after a determined length of time. The second kind of timer is to turn it on and off on a schedule. 5 schedules are available. I have mine scheduled to power on in the morning on specific days. Prior to setting a timer, setup a memory channel for the frequency and mode you want. The physical Timer button needs to be illuminated for the timers to be enabled. Just push it once when you’re finished if it’s not already illuminated. I’ll show you how to do everything in the video below. I like videos because it’s easier for me to show you. I’ll cover everything in the video including setting up a memory for your timer. Thank you again for coming by and I appreciate all of the comments. If you have a question please comment below. I will do my best to answer it and your experience will undoubtedly help others as well. My “UTC” clock does not display. The local 24 hour clok works and sysncs via the network. PS: I think I heard you in a SSB pileup after H33J. You were loud at my QTH. Thanks for commenting here. I try in the pileups and sometimes I get through, hi! Do you mean it does not show on the LCD main screen? If so, the Spectrum Scope blocks it. Make sure the Spectrum Scope is off. I am trying to set up the radio for remote operation. 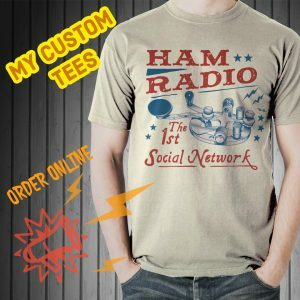 I want to use the built in web server and not be required to have a computer at the radio location. I can not find any documentation about setting up using the web server. There is lots of info about setting up the 7300 which does not have a web server. Does anyone know where to find info about using the web server for remote operation? Nice to hear from you and thank you for the e-mail. That’s a very good topic and I want to do a article on it, hopefully soon. If you have the RS-BA1 software, install it on your remote PC. Setup your Icom 7610 for networking. Menu>Set>Network. DHCP should be okay. Give the radio a Network Radio Name on the last page of the setup. 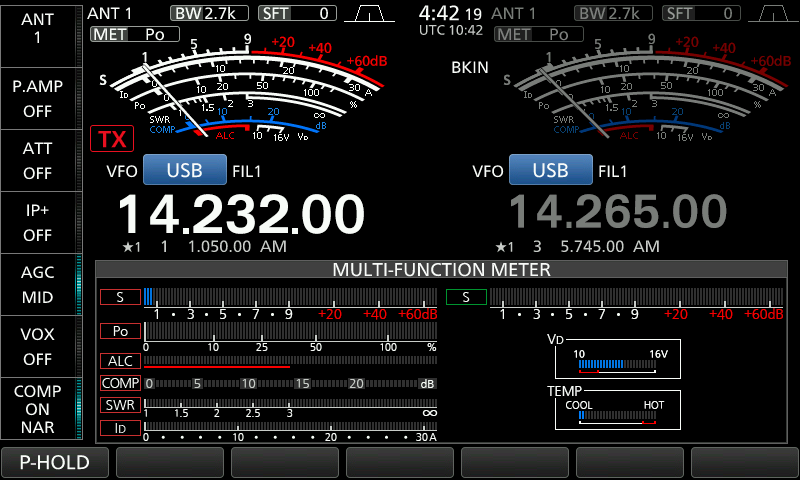 Start the Icom Remote Utility and connect. That’s the first thing. Setting that one up was pretty easy. Then start RS-BA1 Remote Control. There are many settings in it to get it TX operational, but hopefully this is a start for you. See if you can get control of the radio. More info is at RS-BA1 Installation Guide. Let me know how far you get and hopefully I can help. I need a refresher on installing and getting it working. I am I8TSL , I was interesting in to know how can I to transmit cw with mat computer and keyboard. I have got usb wire connected beetwin IC7610 and computer and I now can decde cw trough thr sudio of IC7610 bu don’tknow how to transmet !!! Nice to hear from you and thank you for the question. I have used Ham Radio Deluxe DM780, N1MM Logger+, WinWarbler and a few other programs to transmit CW. What software do you have now? What are you using for decode? Very good video, but let me add one detail about DHCP. If you log into your router, most will let you reserve an IP address for a particular MAC address. So if you give the router the MAC address of your Bridge, it will give you the same address every time you connect. So the DHCP address now becomes effectively a static address . Nice to hear from you and thank you for pointing that out. Very good!